Of Note: No “Soviet tourists,” no DIA (Batallion 404) troops of the army’s intelligence wing, no “there were no terrorists: the Army shot into everyone else and into itself”–in other words, none of the spurious claims that have littered the narrative landscape, fueled by the former Securitate over the past two decades plus. 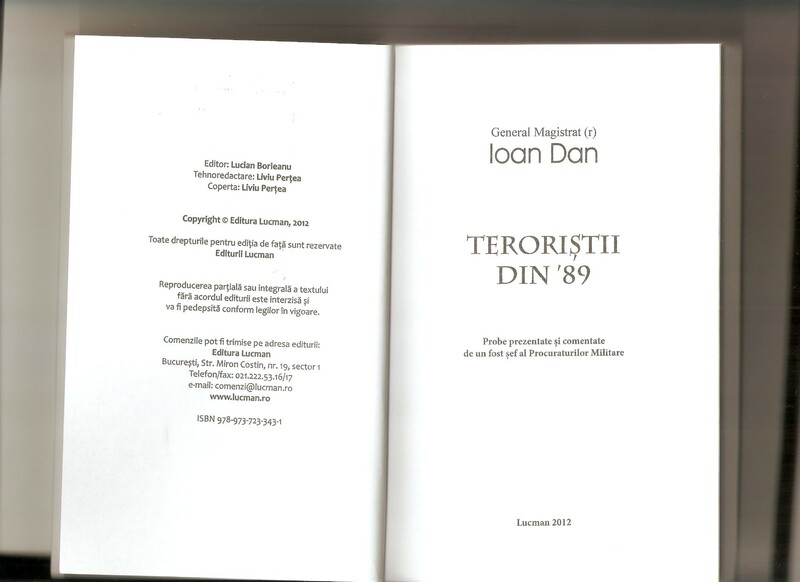 No, Vlad knew who the terrorists of the Romanian Revolution of December 1989 were, because they reported to him! 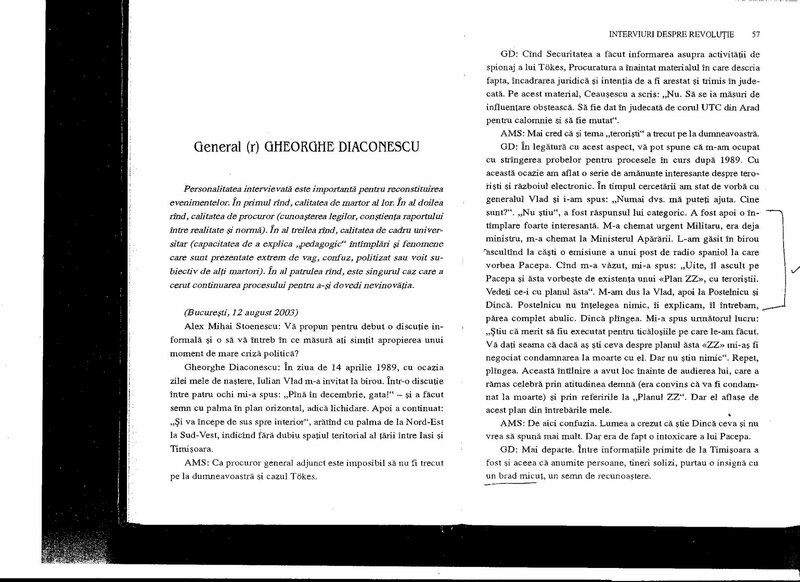 I have attempted to trace Pacepa’s public discussion of Plan Z-Z to verify claims made by other actors (see below, Gheorghe Diaconescu, Giani Bucurescu/Virgil Lovescu) in the Romanian Revolution of December 1989. All of these actors refer to Pacepa’s discussion on Radio Free Europe/Radio Europa Libera sometime apparently between 24 and 26 December 1989. 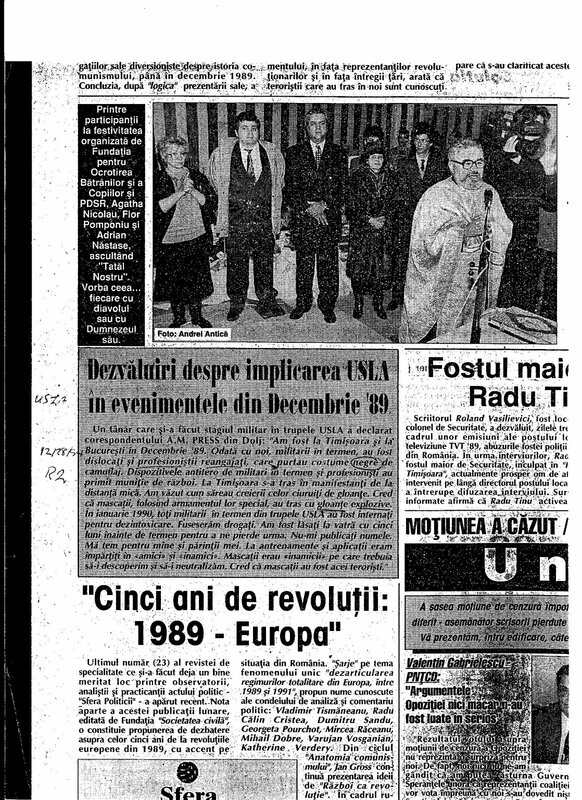 Unfortunately, although there are a series of audio clips and transcripts from these days on the Europa Libera site http://www.europalibera.org/archive/1989/latest/452/982.html, there is no mention of the Pacepa intervention in question and no indication of record of its existence on the Internet. Col. Lovescu [?] Virgil avea un subordonat a carui sotie-medic a participat la acordarea ajutorului ranitilor in luptele de la Aeroport Otopeni si la transportarea cadavrelor la I.M.L. Acestea ii relatase sotului ca in buzunarul unui terorist ucis la Otopeni, care era imbracat in trei costume de haine, unul peste altul, s-au gasit cartile de vizita ale lui Emil Bobu si Ion Dinca. 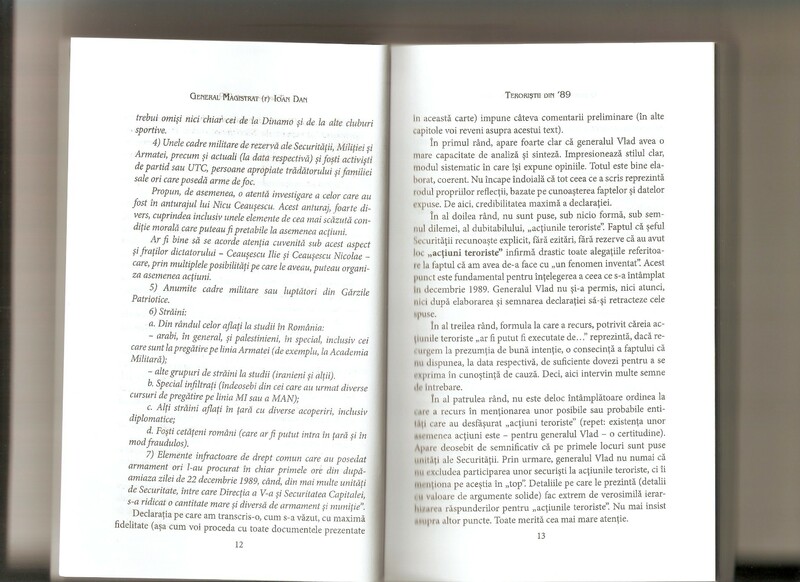 Ratesh, Romania: The Entangled Revolution, pp. 66-67, quoting Radio Bucharest, 2 February 1990. 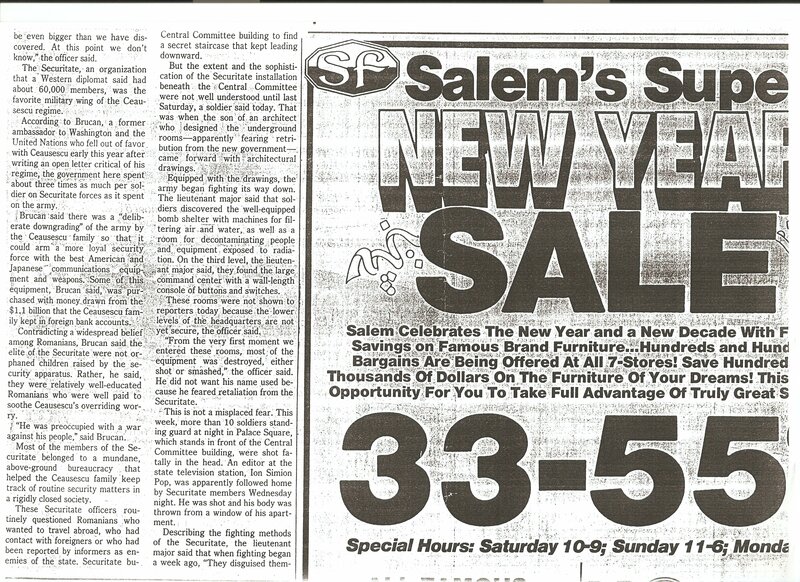 I don’t think from the context given it is clear that this alleged incident took place in January 1990, as Ratesh assumes; the reference to 27-28 might have been a reference to December 1989. 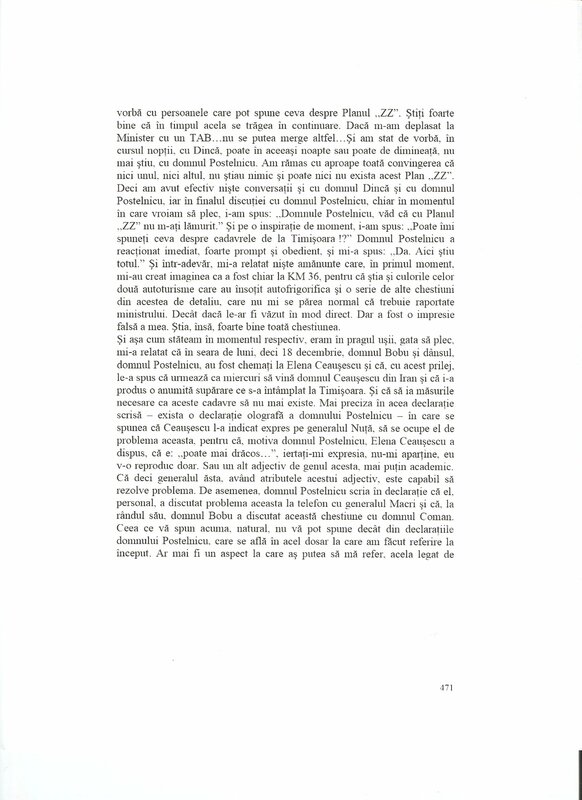 But it almost doesn’t matter when Pacepa first discussed this…because almost identical details were disclosed by Liviu Turcu, a DIE officer who had defected earlier in 1989 (thereby being far more knowledgeable of current plans/realities inside the Romanian security state), only without reference to a named plan, such as Plan Z-Z. 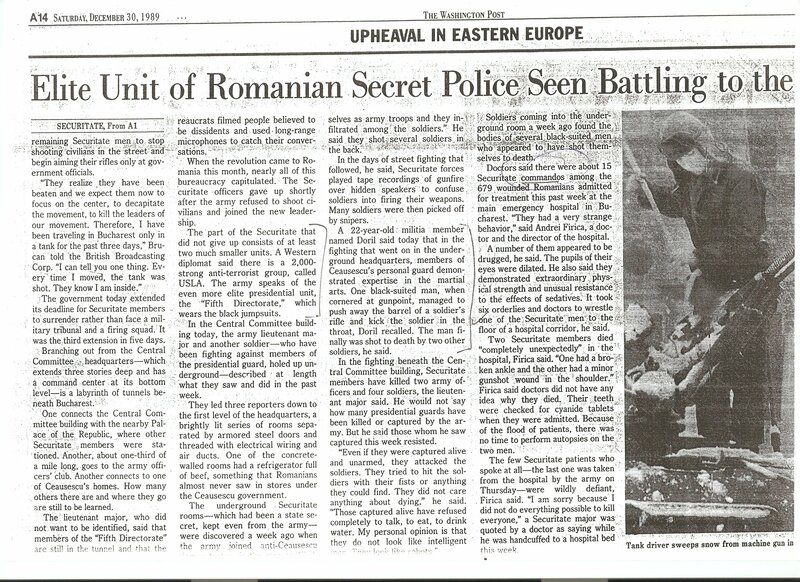 It was thus Turcu on 23 December 1989 (within 24 hours of the outbreak of terrorist hostilities in Romania; the interview would have taken place on Saturday the 23rd) who first informed Western media of the existence of such a plan–although it appears Turcu’s disclosures were never relayed by Romanian media or by Radio Europa Libera. The violence that has erupted in Romania between the army and state security forces loyal to deposed president Nicolae Ceausescu is rooted in long-standing friction between the two institutions that has sharpened dramatically recently, a high-level Romanian defector said yesterday. Lidiu Turcu, who worked with the foreign intelligence branch of the Department of State Security, known as the Securitate, until his defection in Austria last January, said a special directorate monitored the loyalty of top army officers. As Ceausescu’s paranoia increased, he appointed his brother Ilia as first deputy minister of defense and chief of the political directorate in the army. The military deeply resented that interference, he said. Also angering the military was the removal several years ago of two high-ranking generals denounced by Securitate informers for cultivating connections at the Soviet Embassy in Bucharest, he said. There have been reports that the two were killed and dumped into the Black Sea from a helicopter, but Turcu said he could not confirm the story. The well-equipped and dreaded security forces appear to number about 45,000 to 50,000 men, including 25,000 troops who live in barracks on the outskirts of major cities and 20,000 officers, technical personnel, and specialists, he said. That figure is far less than the up to 700,000 reported in recent days in other accounts from the region. The officers and specialists were drawn from universities until several years ago. But in the 1980s, Turcu said, Ceausescu’s wife, Elena, ordered that recruitment of university students be stopped and that less-educated factory personnel be selected instead. The uniformed force of fighters includes many young men who were taken from orphanages at an early age. These security soldiers, educated and trained at special schools, have no family loyalties and were indoctrinated to view Ceausescu as a father figure, Turcu said. 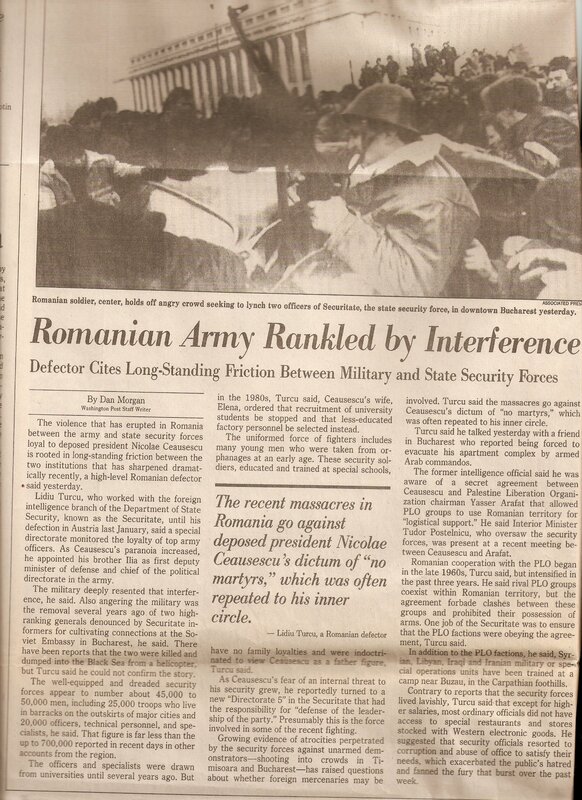 As Ceausescu’s fear of an internal threat to his security grew, he reportedly turned to a new “Directorate 5″ in the Securitate that had the responsibility for “defense of the leadership of the party.” Presumably this is the force involved in some of the recent fighting. Growing evidence of atrocities perpetrated by the security forces against unarmed demonstrators-shooting into crowds in Timisoara and Bucharest-has raised questions about whether foreign mercenaries may be involved. Turcu said the massacres go against Ceausescu’s dictum of “no martyrs,” which was often repeated to his inner circle. Turcu said he talked yesterday with a friend in Bucharest who reported being forced to evacuate his apartment complex by armed Arab commandos. 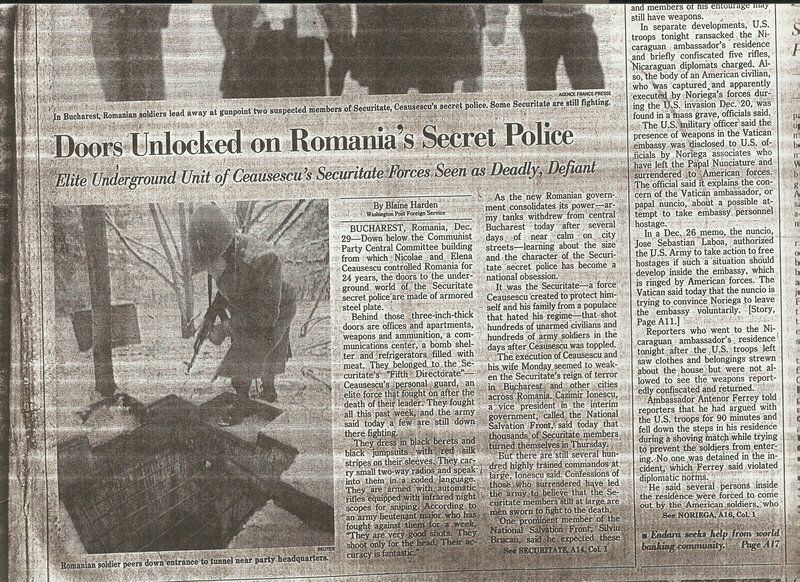 The former intelligence official said he was aware of a secret agreement between Ceausescu and Palestine Liberation Organization chairman Yasser Arafat that allowed PLO groups to use Romanian territory for “logistical support.” He said Interior Minister Tudor Postelnicu, who oversaw the security forces, was present at a recent meeting between Ceausescu and Arafat. Romanian cooperation with the PLO began in the late 1960s, Turcu said, but intensified in the past three years. He said rival PLO groups coexist within Romanian territory, but the agreement forbade clashes between these groups and prohibited their possession of arms. One job of the Securitate was to ensure that the PLO factions were obeying the agreement, Turcu said. In addition to the PLO factions, he said, Syrian, Libyan, Iraqi and Iranian military or special operations units have been trained at a camp near Buzau, in the Carpathian foothills. Contrary to reports that the security forces lived lavishly, Turcu said that except for higher salaries, most ordinary officials did not have access to special restaurants and stores stocked with Western electronic goods. He suggested that security officials resorted to corruption and abuse of office to satisfy their needs, which exacerbated the public’s hatred and fanned the fury that burst over the past week. tuturor sa le fie eliberate altele cu antetul M.Ap.N. Cei care au avut si au cunostinta despre existenta si activitatea fortelor de soc subordonate direct lui Ceausescu, au tacut si tac in continuare de frica, sau din calcul. S-au spus multe despre indivizii imbracati in combinezoane negre, tatuati pe mina stinga si pe piept, fanaticii mercenari care actionau noaptea ucigind cu precizie si retragindu-se cind erau incoltiti in canalele subterane ale Bucurestiului. S-au spus multe, iar apoi au tacut ca si cind nimic nu s-ar fi intimplat. 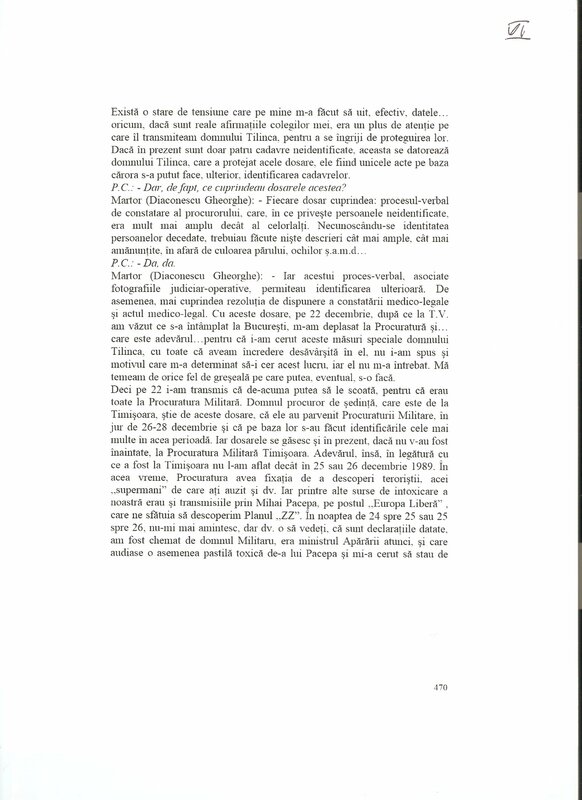 Suprapuse Directiei a V-a si USLA comandourile USLAC erau constituite din indivizi care “lucrau” acoperiti in diferite posturi. Erau studenti straini, doctoranzi si bastinasi devotati trup si suflet dictatorului. Foarte multi erau arabi si cunosteau cu precizie cotloanele Bucurestiului, Brasovului si ale altor orase din Romania. Pentru antrenament aveau la dispozitie citeva centre de instruire subterane: unul era in zona Brasovului, iar altul–se pare–chiar sub sediul fostului CC-PCR, poligon care au dat–din intimplare citiva revolutionari in timpul evenimentelor din Decembrie. This entry was posted on September 7, 2013 at 4:04 pm	and is filed under decembrie 1989, raport final. 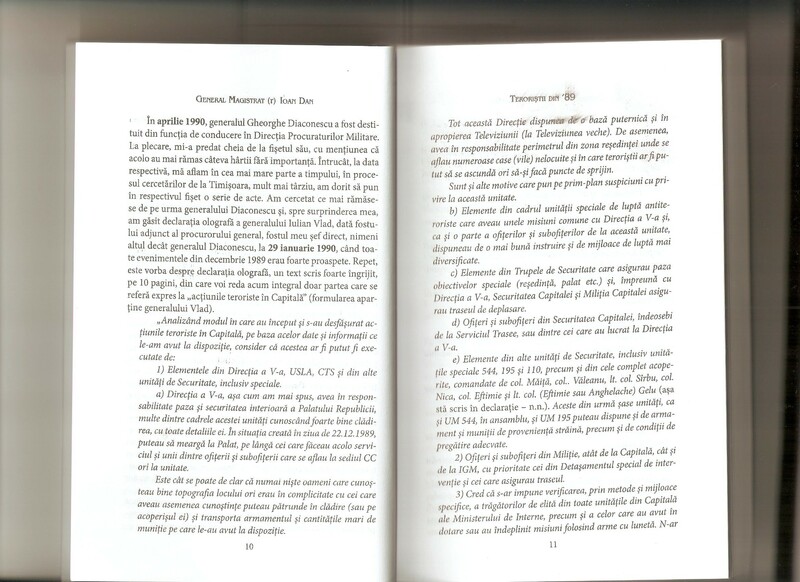 Tagged: Ceausescu December 1989, museum Targoviste, muzeu Targoviste, nicolae ceausescu, romanian revolution, romanian revolution of december 1989, securisti decembrie 1989, Targoviste December 1989, Targoviste decembrie 1989, teroristi decembrie 1989. You can follow any responses to this entry through the RSS 2.0 feed. You can leave a response, or trackback from your own site.